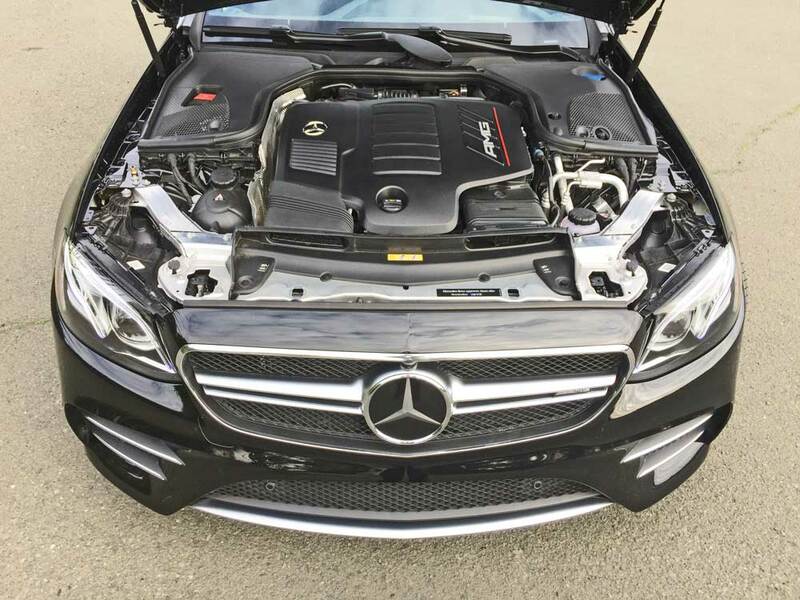 The AMG enhanced engine is a 3.0-liter, DOHC, 24-valve inline turbocharged six-cylinder with EQ boost. The longitudinally positioned front engine puts out 429 horsepower at 6,100 rpm, while also developing 384 lb.-ft. of torque in a range from 1,800-5,800 rpm. 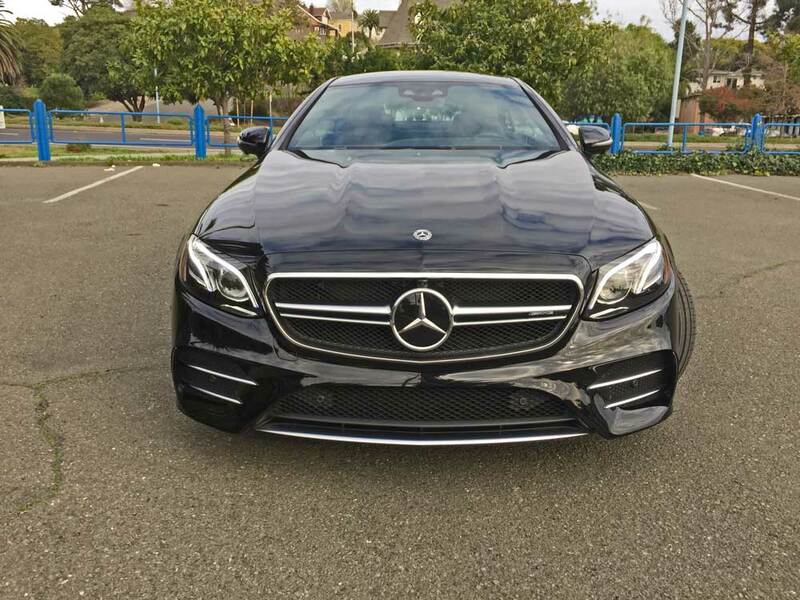 Energy is geared to the 4MATIC four-wheel drive system via the Mercedes’ AMG SPEEDSHIFT nine-speed automatic transmission. 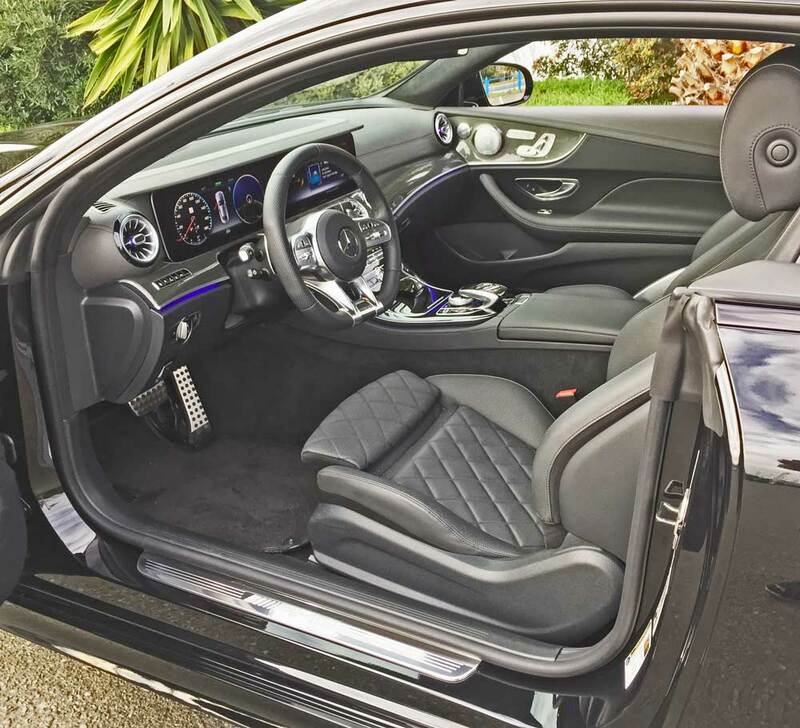 The cabin of the 2019 E53 serves up a luxurious ambience that’s loaded with state-of-the-art levels of technology and the ultimate in class achieved through the use of exotic materials and European craftsmanship. The instrument panel is fully digitized and symmetrically balanced, and considering its Teutonic source is surprisingly intuitive in its operation. 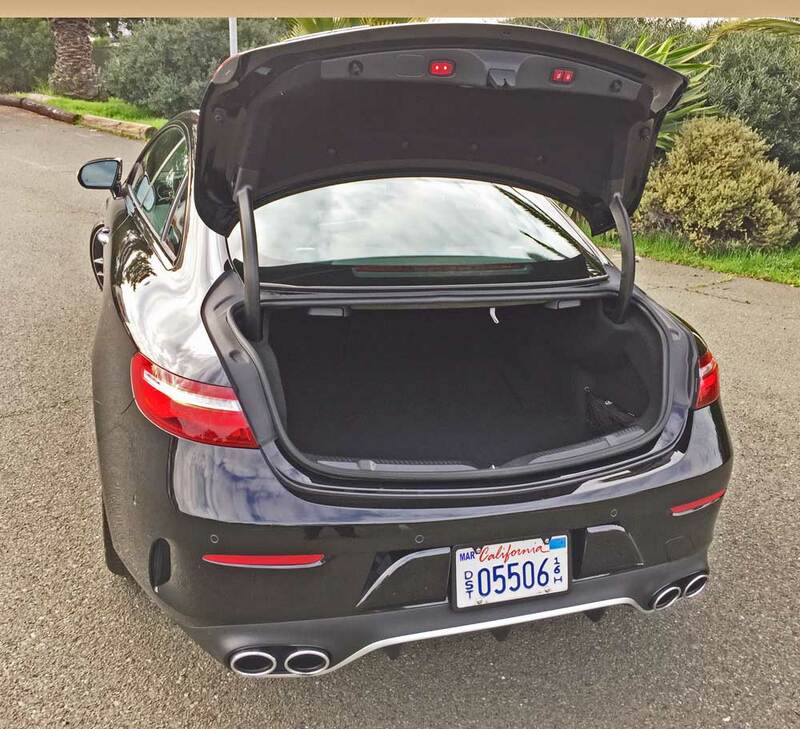 My test 2019 Mercedes-Benz AMG E53 Coupe came with the exterior finished in a stealthy Obsidian Black metallic and the interior done in designo® Black with quilted and perforated Titanium Grey Pearl Nappa leather seating inserts highlighted by flowing carbon fiber-like Metal Weave door and dash trim elements. The Burmester high-end 3D surround sound system added concert quality entertainment. 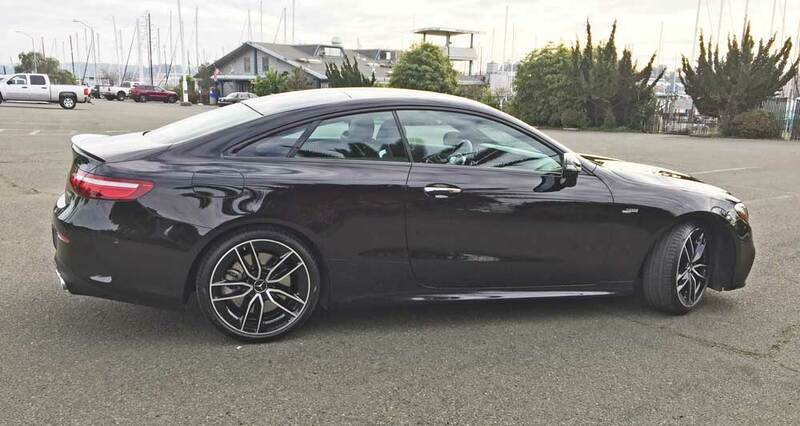 The Mercedes-AMG team expertly executed performance and refinement into a highly functional work of art. The base price was set at $73,700., which rose to $95,895 after factoring in options and the destination and delivery fee. 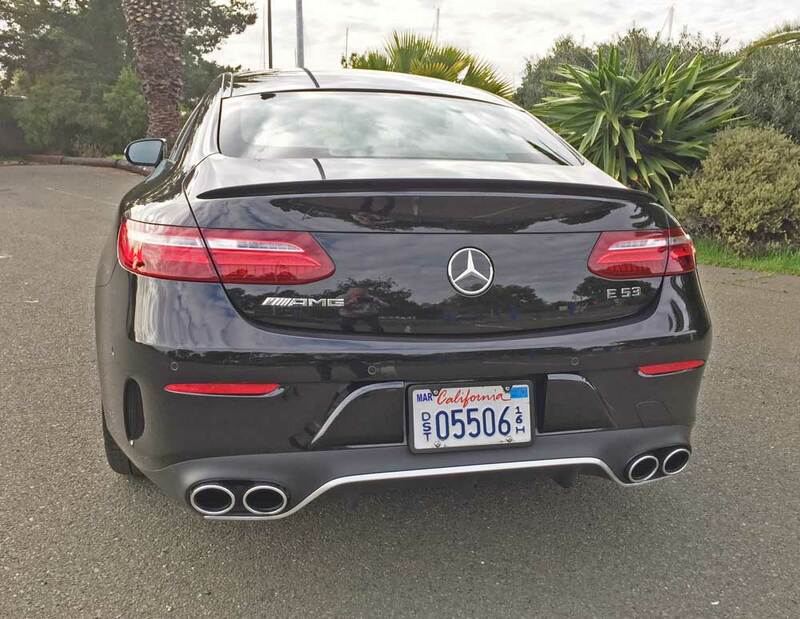 Acceleration is especially blistering in Sport+ mode, with virtually no turbo lag, and the exhaust note with the AMG Performance Exhaust system is simply delicious. Gear changes in this mode are both quick and smooth, emitting an authoritative “Brap” in both directions. 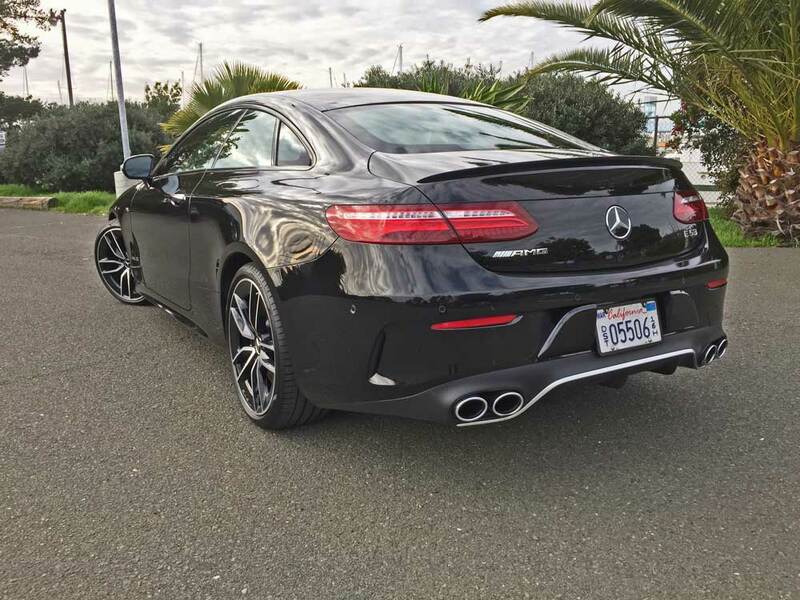 In the final analysis, the 2019 Mercedes-Benz AMG E53 Coupe provides a feast for virtually all of one’s senses. 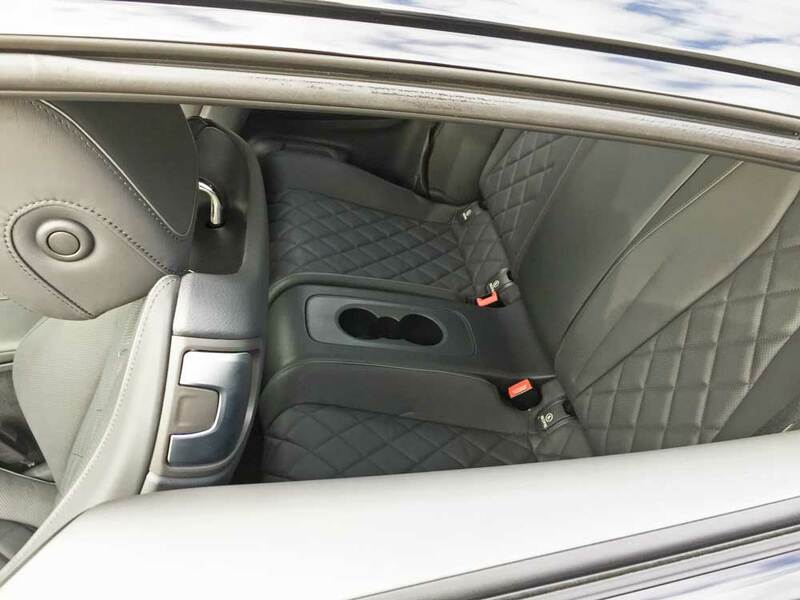 It is drop-dead gorgreous, it is both comfortable and supportive, and it is loaded with all the latest in technology for driving assistance, and infotainment. There’s even a fragrance atomizer. A limited warranty covers 4 years or 50,000 miles; there’s a powertrain warranty covers 4 years or 50,000 miles. Unfortunately, the E53 doesn’t provide complimentary scheduled maintenance. 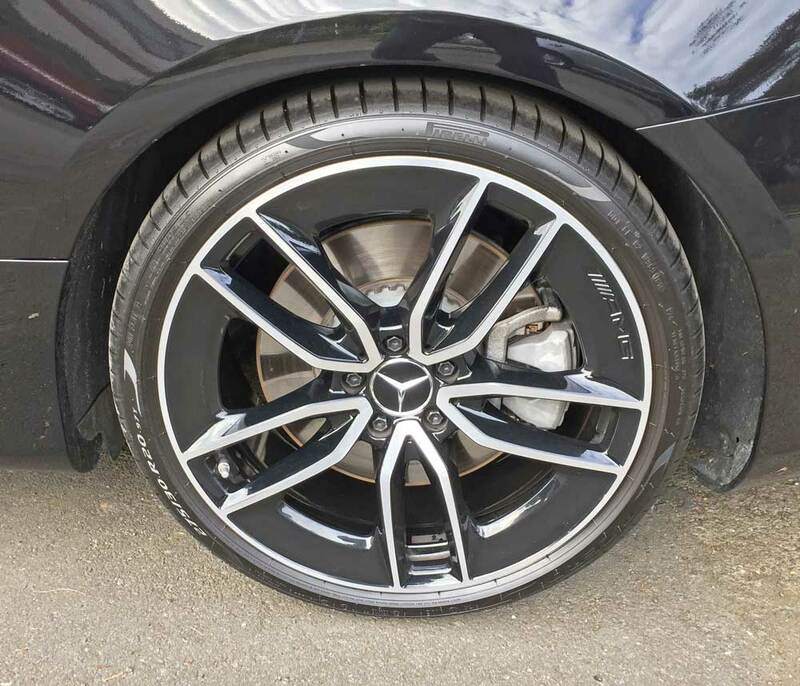 Tires: Pirelli P-Zero 245/40 R 20 95Y front / 275/30 R 20 97Y rear mounted on 5-“V”-spoke – AMG alloy wheels, machine faced with painted inners. 0 – 60 mph: 4.3 seconds – Top speed 130 mph electronically limited.